To make sure I stay active, I track my step count each day using an app on my smartphone. If I reach my daily 10,000 steps, I feel quite accomplished and, in the long run, stay healthier and more fit. Dogs don’t normally use smartphones, nor do they have fixed step count goals for the day, but they do need to keep active to stay healthy just like we do. Taking a nice walk with their best buddy (you) is a favorite pastime for many dogs, but how do you know how long that walk should be without overdoing it? How Do You Gauge a Walks Length? 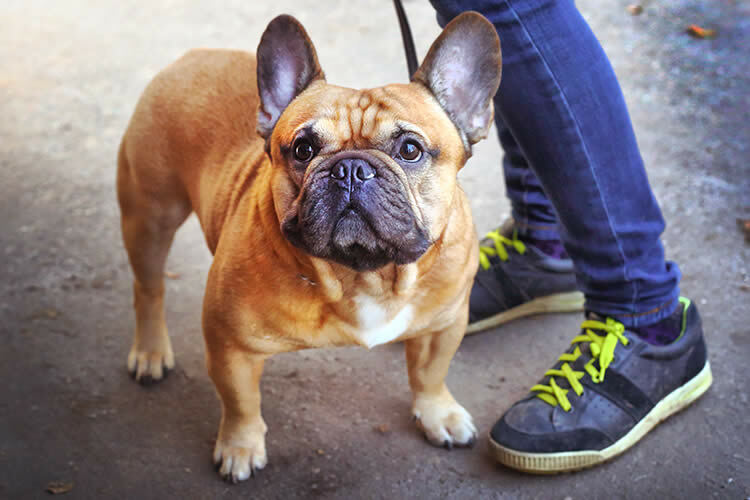 The ideal distance to walk your dog will vary based on their breed, size, health, and age. A good way to gauge a walk is not by distance, but by time. A general rule to go by for healthy dogs, is to walk them between 30 – 45 minutes daily. More active dogs should get around 2 hours of activity. Larger dogs may be able to walk for miles due to their large strides, whereas smaller dogs might just want to trot around the block. Remember a teacup Yorkie might have to take a dozen steps to equal just one step from a Great Dane. Does the Breed Make a Difference? If your dog is healthy and they are a hunting, herding, or working breed, they may need more exercise than most other dogs. However, some dogs can vary greatly in size and weight for their breed so be aware that you can not base their walk time solely on what type of dog they are. Also many dogs are mixed breed and you might not know what their heritage actually is. What About Older Dogs and What Are They Trying to Tell Me? Older dogs might only want to walk for 15 minutes and then hop right back into their favorite pillow pile, and that’s okay! If you think they need more exercise, try breaking the walks up into smaller spurts to give your dog more time to rest in between. Watch for the signs your dog gives you to let you know when they have had enough. Some dogs will turn back from where you came from, slow down, become disinterested, or even lie down. Over time you will learn your dog’s signs and have an idea of your dog’s walk needs. Also, check the weather before you head out with your pooch. If it is a hot day, you may want to cut back on your walk time as dogs fatigue quickly in the heat, especially senior dogs and snub-nosed breeds like pugs and bulldogs. Cuteness.com: How Far Should I Walk My Dog? The Dog Clinic: How Much Exercise Does My Dog Need Each Day? Adam is a writer, director, and cartoonist who specializes in animal centric and children’s programming. He lives in Los Angeles with two goofy and loving dogs that really don’t like squirrels.